The annual Toronto International Film Festival began on September 10. 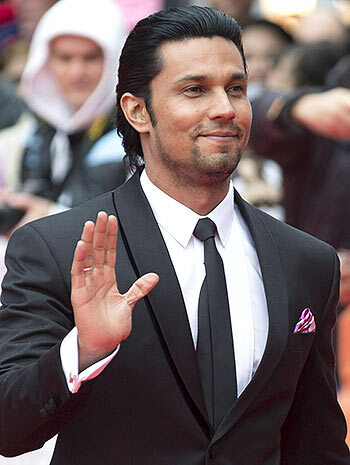 Several Bollywood and Hollywood stars made their presence felt over the weekend at the ongoing Canadian film festival. 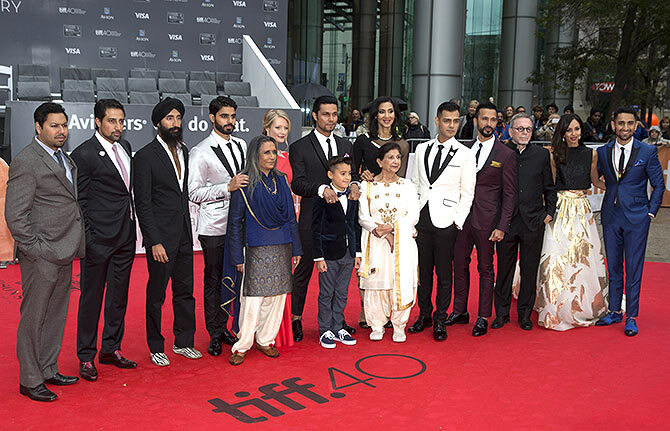 Beeba Boys director Deepa Mehta is flanked by her team -- (left to right) actors Dileep Rao, Steve Dhillon, Waris Ahluwalia, Jag Bal, Sarah Allen, Randeep Hooda, child actor Samir Amarshi, Monika Deol, Balinder Johal, Gabe Grey, Ali Kazmi, producer David Hamilton and actors Gia Sandhu and Ali Momen. Early reviews of the film at TIFF have been somewhat lukewarm, and while Hooda's performance as a Vancouver gangster has come in for some praise, his conduct with the local press in Toronto has not exactly made him popular among the Western media. 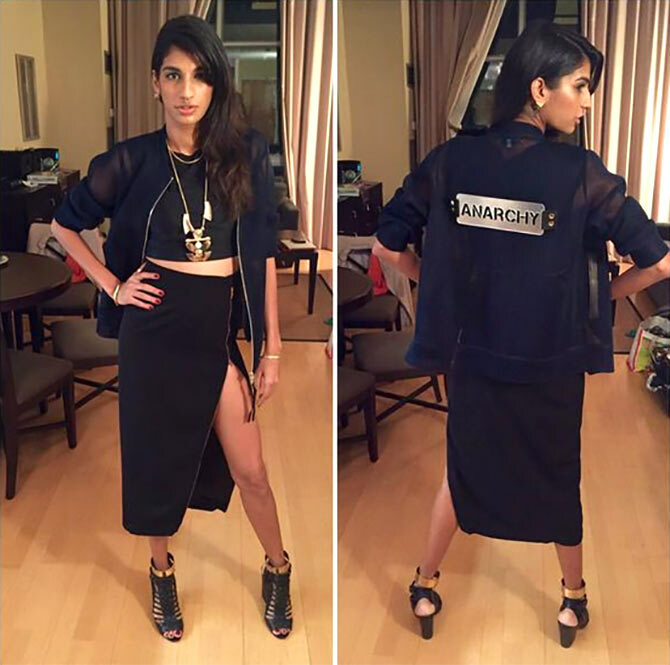 Meanwhile, singer Anushka Manchanda shared a picture of her on Twitter before making her own TIFF appearance in this edgy mesh bomber jacket designed by Dhruv Kapoor and a Nikhil Thampi skirt. Manchanda stars in Pan Nalin's Hindi drama Angry Indian Goddesses, a film pitched as 'India's first female buddy film,' along side Sandhya Mridul, Sarah Jane Dias, Arjun Mathur, Adil Hussain and, among others, Tannishtha Chatterjee, who is also a part of Leena Yadav's Parched. Screened at the fest in a special segment, Parched costars Radhika Apte and Surveen Chawla in pivotal roles and was received with a standing ovation. 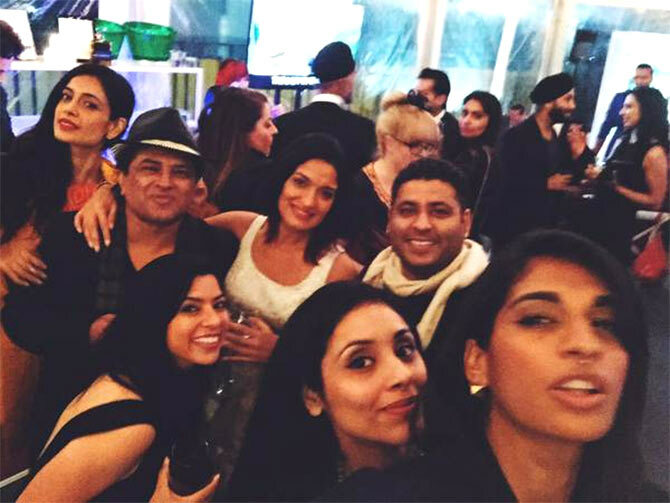 Here's the selfie that Manchanda made a point to click before the team proceeded to attend their film's screening. Speaking from Toronto right after the Parched screening on September 10, Tannishtha said, "I am floored by the reviews and the response. Women filmmakers are finally finding their voice. "I just returned from Venice where my film Island City (also directed by a female filmmaker, Ruchika Oberoi) won the best debut prize. It's a huge deal and I have a very quiet and powerful role in the film." On the Hollywood front, Oscar-winning veteran actress Julianne Moore owned the red carpet in this minimalistic pant-suit as she arrived for the screening of her film Freeheld on September 13. In the film, Moore plays the late Laurel Hester, a police detective who fought government officials for equal treatment when she was diagnosed with cancer. Actress Sandra Bullock and producer George Clooney arrive for the premiere of Our Brand Is Crisis. The duo have previously collaborated on Alfonso Cuaron's widely acclaimed and 2013 Oscar winner Gravity. Canadian actress Ellen Page, who plays Julianne Moore's partner in Freeheld, made her debut joint appearance with girlfriend Samantha Thomson for her film's TIFF premiere. 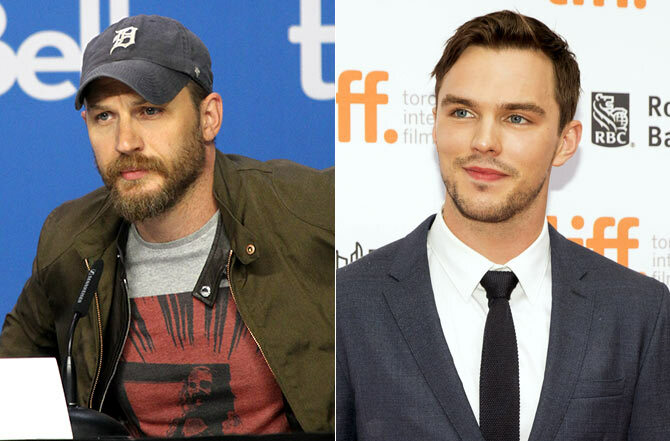 Mad Max: Fury Road costars Tom Hardy and Nicholas Hoult were spotted promoting their own films -- Legend (a British crime thriller written and directed by Brian Helgeland) and Equals (an American sci-fi romantic drama directed by Drake Doremus) respectively. While Gravity director Alfonso Cuaron turns producer for filmmaker son Jonas Cuaron's debut film -- Mexican drama Desierto starring Gael Garcia Bernal. Interestingly, Bernal played one of the protagonists in Cuaron Sr's 2001 coming-of-age road trip film Y tu mamá también, which is widely hailed as a seminal work in the genre. Desierto is co-written by Mateo Garcia, the grandson of late literary legend Gabriel Garcia Marquez. Nicholas Hoult's Equals costar Kristen Stewart makes a statement with an all-black red carpet look. Actresses Naomi Watts, Susan Sarandon and Elle Fanning attend the premiere of the film About Ray. Directed by Gaby Dellal, the film was screened in the Special Presentations section of the Toronto Film Fest. Evan Rachel Wood was spotted at the screening of her film, the Canadian drama Into the Forest. The film also stars Ellen Page in a central role. The luminous Amber Heard arrives for the premiere of her film The Danish Girl, along with Hollywood star husband Johnny Depp. Eddie Redmayne, who plays the titular character, kicked up quite a storm with his look in the film a while ago. Alicia Vikander and Eddie Redmayne arrive for the premiere of The Danish Girl. The lovely Rachel Weisz arrives for the screening of Paolo Sorrentino-directed Youth. The film also stars Michael Caine and Harvey Keitel, in central roles.